Double and single-disk openers and other attachments for proper dry fertilizer placement. Features a 5' telescoping discharge spout, hydraulic controls at both top and bottom, and laoding speeds up to 376 rpm. 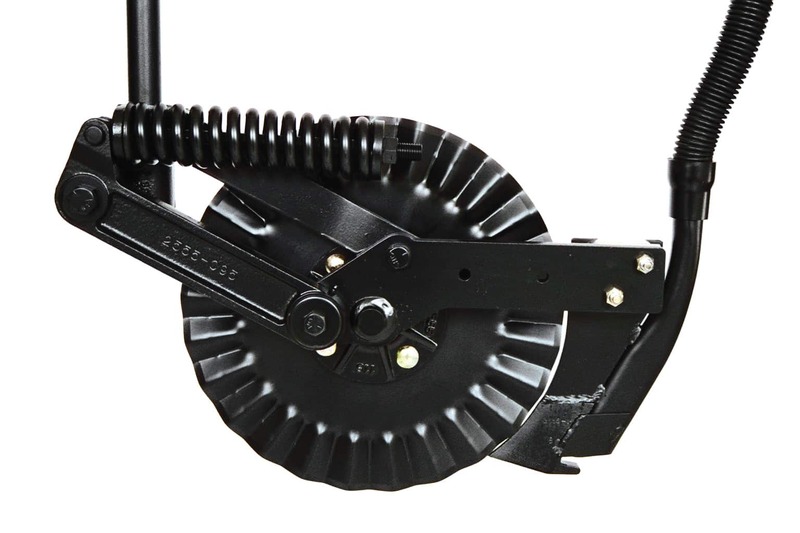 Perfect for conventinal- and Mulch-till conditions, the double-disk opener places your exact rate in the right place. Hold from 600-900 lbs. each, depending on the plater configuration. Planter mounted dry fertilizer is available on 6- and 8-row trailing configurations only. For no-till fields, opt for the single-disk opener with 17in. rippled coulter. A knife scraper can be added to keep openers clean. Optional guage wheels allow for placement 3 or 4 in. deep. ​Learn about the Planter Attachments Series.